Seafood lovers, take note! Time for a road trip. 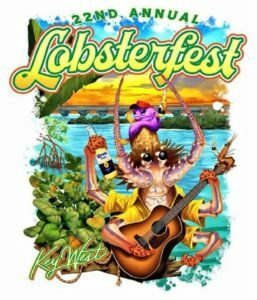 The famous annual Key West Lobsterfest will take place from Thursday – Sunday, August 9-12, 2018. Now in its 22nd year, the festival celebrates the bounty of the Florida Keys lobster season that opens on August 6th. Famous for its sweet and tender meat, the Keys’ spiny lobster is often served steamed with drawn butter, paired with seasoned stuffing, or in innovative dishes conceived by local chefs. Festival events begin at 5:00 p.m. on Thursday, August 9th, when lobster aficionadas will gather for a traditional lobster boil at The Roof, 201 William Street at the Waterfront Brewery. As well as lobster, plates will be piled high with shrimp, andouille sausage, crawfish, corn on the co, and new potatoes. Other attractions include live entertainment and libation specials. Reservations are strongly suggested. Friday’s schedule features a “Reef & Ritas” catamaran sail and snorkel trip, beginning at 1:00 p.m. There will also be a lively nighttime Duval Crawl with stops at establishments in Key West’s popular downtown and harbor areas. The festival’s anticipated highlight is the Key West Lobsterfest Street Fair in the 100 through 500 blocks of Duval Street. From 12:00 noon to 11:00 p.m. on Saturday, August 11th, seafood fans can sample local chefs’ and restaurants’ lobster specialties from tempting appetizers to full dinners. 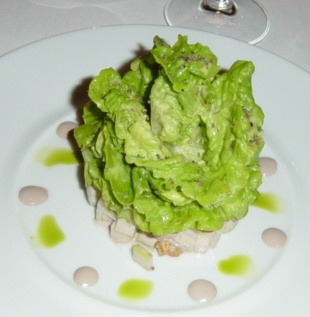 Offerings feature fresh crustaceans caught by Florida Keys fishermen. A free outdoor concert is slated for 1:00 p.m. – 10:30 p.m. with Alphonse, Cool Breeze and the DurtBags performing from a stage at the intersection of Duval and Greene Streets. Lobsterfest will conclude on Sunday, August 12th, with a lobster brunch buffet at First Flight Island Restaurant & Brewery, 301 Whitehead Street. Reservations are suggested. For more information, or to make reservations or purchase tickets, please click on http://www.keywestlobsterfest.com/.